Christian-rock enthusiasts view David Bazan as their fallen son. As Pedro the Lion, Bazan became the poster child for indie crossover success (especially from a critical standpoint) for those bearing the heavy cross-labeled “Christian rock.” But a funny thing happened on the way: He stopped believing. This loss of faith sent shockwaves through his devoted Christian fans. The son of a pastor, the man they viewed as their musical mouthpiece, had strayed from the flock. But that seems to suit Bazan: He was never comfortable being “theirs” anyway. “I was always pretty dissatisfied with the label ‘Christian rocker’ or just that I was a ‘Christian band,’” Bazan says. “There was almost always either Christian people calling me a ‘Christian rocker’ to sort of claim me as their own or justify themselves listening to the music, because it was just ungodly or something to listen to music that wasn’t Christian. Or it was people from the secular world looking to dismiss what I was doing with that label. His first full-length solo album, Curse Your Branches, came out last year and attacks questions of faith with a no-holds-barred, razor-sharp tongue. Whether it’s attacking the logic of original sin or the soundness of fate, nothing about the religious realm is off-limits for Bazan. Understandably, some of his devoted followers are not too happy with the direction his music has taken. Part of this ability to deal with the array of opinions about his own work comes from the open nature of Bazan’s relationship with his fans. Taking impromptu Q&A sessions between songs has become a hallmark of his live set. “I of course am standing up in front of a bunch of people who are watching me play songs, so that is kind of, by definition, a pedestal, and I like sort of leveling that to a certain degree — sort of acknowledging the fact that it’s pretty random that I’m the one up here doing this and you’re the punters who are paying money to see this,” he says. Bazan seems to be a man very much at peace with who he currently is — even if he’s somewhat unclear on where he fits into this thing we call being. His past demons of self-destructive drinking, which surfaced as his relationship with God deteriorated, are no more. His main drive is that of a father. Building a life for his wife and children is his top priority. When time allows, outside of the rigors of touring and the family, he mostly reads books on theology. It’s his attempt to gather information, data and understanding about where we all came from and what actually is. He is well aware of how his search for answers could be construed differently by a variety of people. But it’s not about them. His exploration of faith through music is his. Consequences be damned. 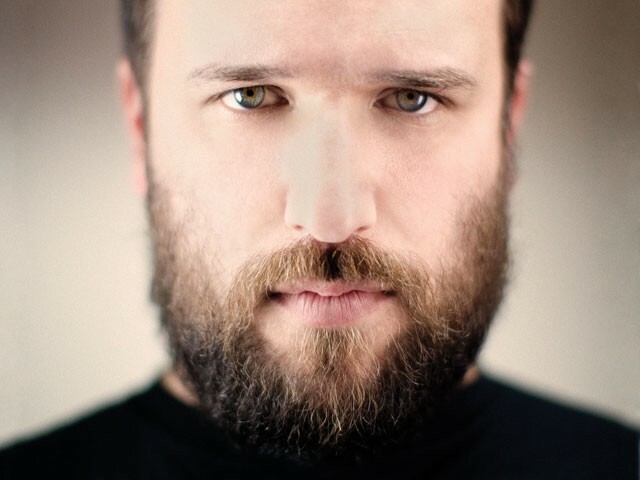 David Bazan plays with Karli Fairbanks at Empyrean on Friday, April 9, at 8 pm. Tickets: $10. Call: 838-9819.